Recognition could get to end in June, when UNESCO will announce the list of sites and objects considered World Heritage Site. This is certainly a prestigious award, but also a great opportunity for economic and touristic development. The hitinerary lies on a huge area where many Arabic- Norman monuments stand. Palermo i san important historical site and an alive city too. 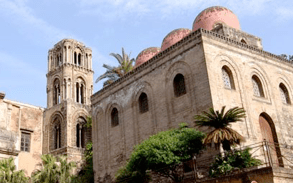 Sicily counts 6 World Heritage sites, four cultural, (Archal area of Agrigento, Villa del Casale in Piazza Armerina, lLate Baroque Towns of Val di Noto, Syracuse and Pantalica) and two cultural sites (Mount Etna and Aeolian Islands). Progetti in comune Sicilia –Tirana.